I’ve lost count of how many of these “Elm Creek Quilt” books I’ve read. For the most part, I really enjoy them and this was no exception. 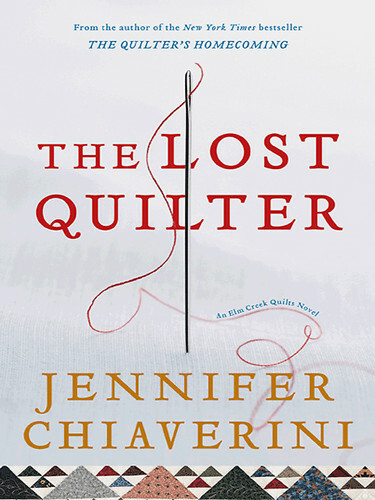 I absolutely love Christina Moore’s narration – and she’s done all of Jennifer Chiaverini’s Elm Creek Quilt books. You know which character is speaking, even before you hear the words “said Joanna” – or whomever. This one was mostly set during the US Civil War years (1861-1865) and was about a female slave who longed for her freedom. The story line was certainly believable and it appears that the author did a fair amount of research into the period, especially how it relates to quilting, specifically the “Birds in the Air” quilt. I wouldn’t say that this is the best or most riveting novel I have read, but it definitely was interesting and fun to listen to – and heck, thats all I really ask for on my long drive to and from work. On a similar note, I just got two new books to add to my “to read” pile. “The Distant Hours” by Australian author Kate Morton (love her!) and a non-fiction book entitled “Unbroken” by “Seabiscuit” author, Laura Hillenbrand. I’m currently reading a book I thought I’d never read. Back in 2003 my work buddy, Molly, told me that it was a crappy book and since I trusted her learned opinion, I was never even remotely interested in reading it. Fast forward 7 years. Another work buddy suggested that I REALLY should give it a try. She loaned me her copy, and now I’m reading “The Lovely Bones” by Alice Sebold. Too soon to have a serious opinion on this one, but in a strange way I’m relating to the dead girl. Yikes, that sounds awful…. what I mean is, she died as a 15 yr old in 1973. I was a few years older than that, but can definitely recall being a young girl in the early ’70s. Maybe that will be enough for me to like it? Time will tell.